Whenever there is a sizeable bounty to be collected anywhere across the galaxy, Boba Fett will assuredly be on the hunt in his signature ship, Slave I. A heavily modified Firespray-class patrol craft, the ship belonging to the most infamous bounty hunter in the Star Wars galaxy is sure to strike fear in anyone with a price on their head. 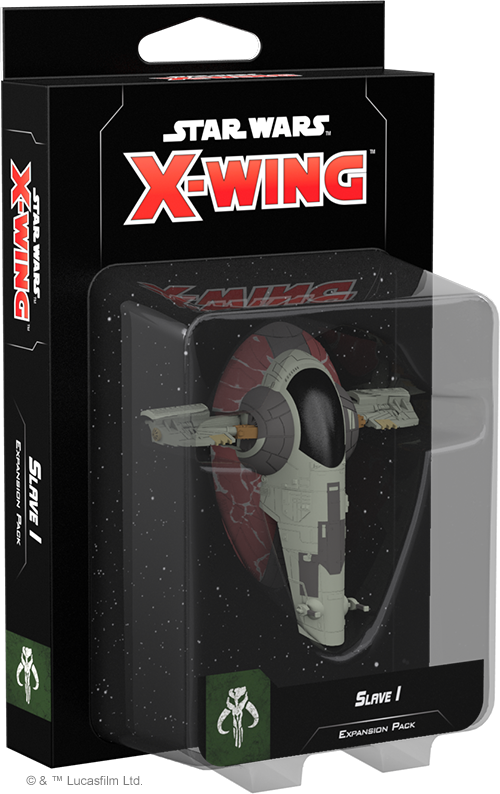 Later this year, you’ll have the chance to add this notorious craft to your Scum and Villainy squadrons from the beginning of X-Wing™ Second Edition with the Slave I Expansion Pack. 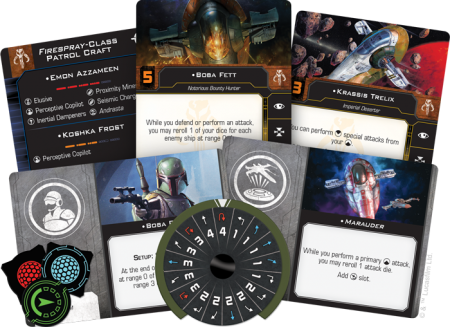 The Slave I Expansion Pack includes a beautifully pre-painted ship miniature along with a maneuver dial and all the ship cards and upgrade cards you need to supplement your squadron with this versatile ship. 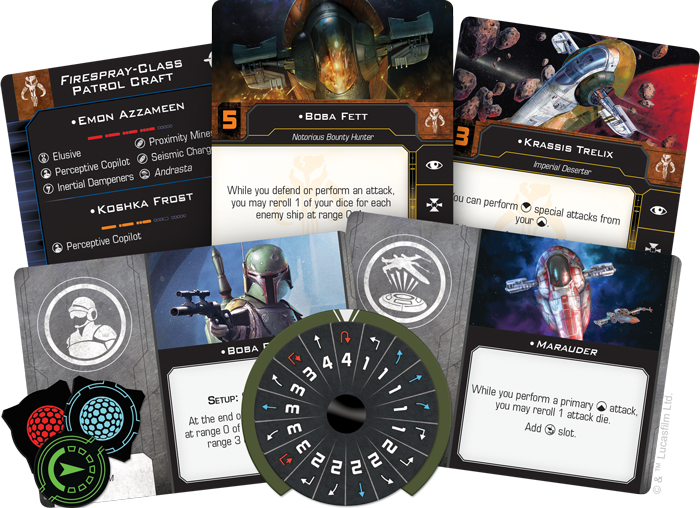 In addition, the Slave I Expansion Pack contains a few entirely new cards that have never before appeared in the game’s first edition. 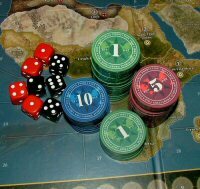 These new cards and associated punchboard are included in the Scum and Villainy Conversion Kit for the benefit of veteran players!